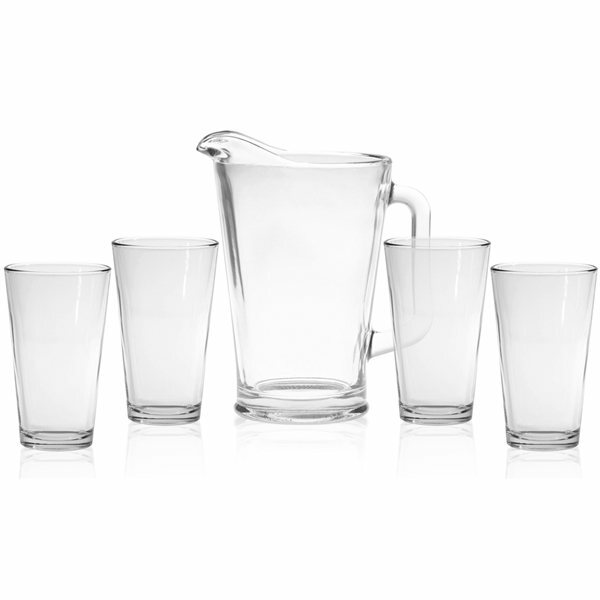 Pitcher and pint set includes a 60 oz Pitcher and four 16 oz Pint Glasses. Jet Directt available on glasses only. the products were excellent. We are ordering 500 more today. Your site is simple to use and response time from the employess was incredibly quick. Plus, the entire process of ordering and posting the logo design artwork was quite simple. the artwork was crisp and clear, and on such a small item, we were delighted. Great product all went well. Turned out good. Very satisfied. These were good. Quality product. Everyone is really happy with the quality. Thank you!! !